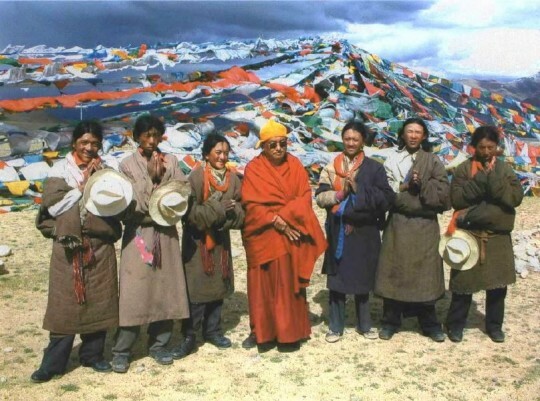 “I tried to explain to the police that I didn’t come to Tibet to see mountains etc., that I was not a tourist, that I came for pilgrimage to see all the very special holy places” — Lama Zopa with fellow pilgrims in Tibet. Photo by Ven. Roger Kunsang. I have just returned from Tibet, with a group of about fifty Westerners. I think it was quite a meaningful pilgrimage; we were able to purify negative karma and create a lot of merit. We were also able to help a number of monasteries and nunneries.